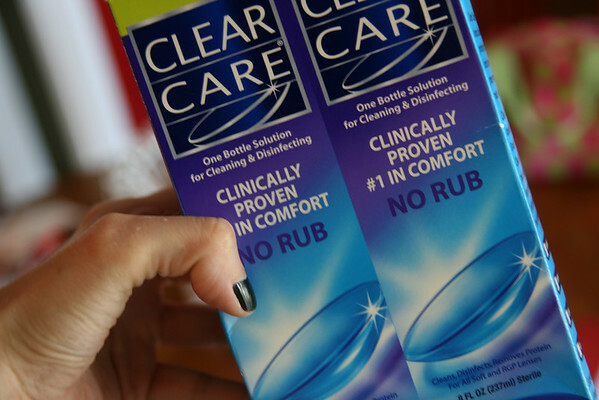 When I finally used my last drop of my trusty Opti-Free Replenish multi-purpose contact lens solution the other day, I grabbed this box of solution that Peggy had graciously shared with me when she found it on sale. 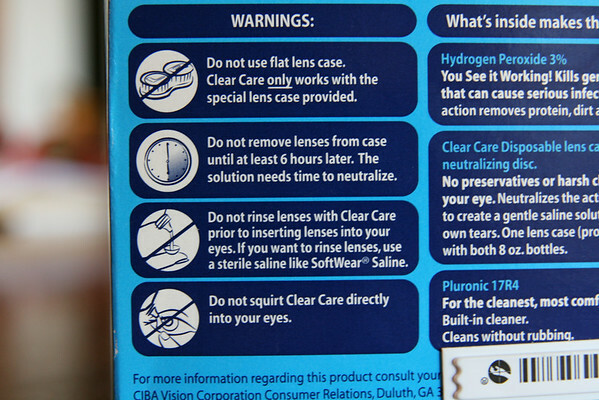 I hurriedly opened the box, ripped off the plastic seal on one of the bottles and tilted it over my left contact to allow two drops to splash over the lens before I put it in my eye. Which is what I always do with my regular solution. Aren't all contact solutions created equal? Since my left eye burst into flames, I'd say no, no they're not. Let's just say I decided to wear my glasses for a few days, desperately hoped that one red eye was in vogue, and soon stocked back up on my tried and true Opti-Free. And promised never to skip reading instructions ever again. Oh dear, oh dear this sounds painful and scary. This is what I use! And, yes....I have had the same excrutiating, panic, and blinding pain you speak of...When the little disc no longer neutralizes it does the same thing...Now, I wonder why I have used it for years. I guess because the optimetrist handed it to me and told me a few years ago, "Here, use this." Oh Lynn! I know your pain!